It doesn't matter what party you belong to. Sitting on furniture with your shoes on is not cool - unless it's your own. I don't think she meant to show disrespect, I think she had no respect for the Oval Office, its guests and her boss. 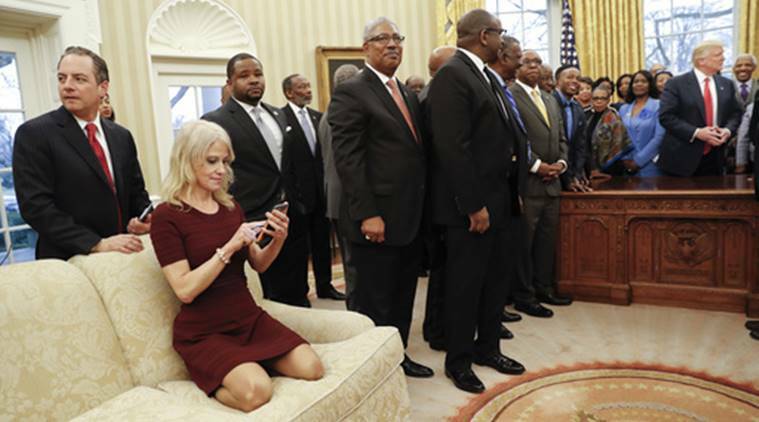 Kellyanne Conway, too busy to mind her manners.